Kittle Design and Construction delivers quality commercial remodels with minimal disruption, and quickly. Kittle Design and Construction staff and subcontractors are adept at delivering remodels to accommodate new functions, enhance safety, improve efficiency, and fit with existing construction. We work to minimize disruption, finish quickly, and leave the area clean and ready for use. We are proud to have worked in some of Tucson’s most prominent and frequented buildings. 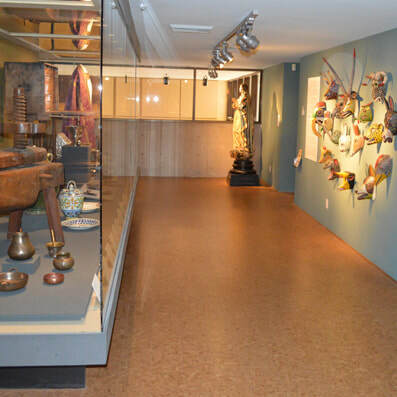 The Museum saw an opportunity to turn un-used office space into a gallery for Latin American art. This area opens to a large outdoor patio that is now used for fund-raising events. We worked with the architects to select the flooring, re-furbish existing display cabinets, and create an airlock that separates the climate-controlled gallery from the exterior balcony. This building was constructed in the late 1800s as a duplex residence for Tucson’s Carrillo family. In the mid-1900s, the family built a small addition for the Carrillo daughters’ beauty salon. The property is adjacent to Arizona’s first Jewish Temple, now the Jewish History Museum. 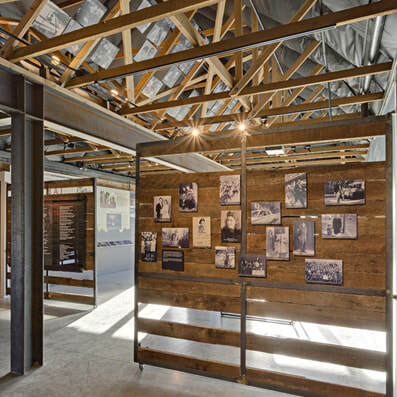 The local Jewish community purchased the Carrillo property to create a Holocaust History Center. Our task was to open the delicate structure to create a state of the art museum and public assembly space. We worked closely with the architect to reinforce deteriorated foundations, resolve the site utilities, and accommodate evolving display designs. Salvaged wood, stone, and brick were re-purposed in this project, and we met Historic Registry requirements. As one of Pima Community College’s flagship programs, the dental program provides instruction in dental hygiene, surgery, and creating prosthetics. Its Dental Hygiene Clinic is open to the public. 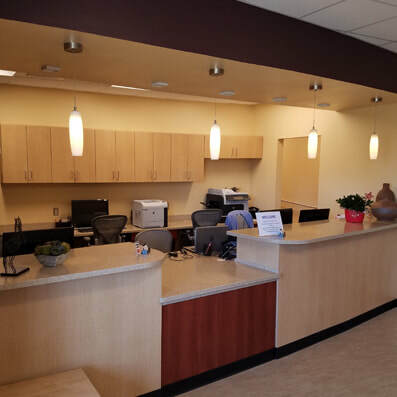 Kittle remodeled the reception and waiting area, the staff and student lounges, and the clinical patient areas. The project required close coordination with the architect and dental equipment suppliers. We provided new medical air and medical vacuum systems to serve the entire 7,600 square foot clinic. Courtroom 1 is the largest and most public restroom in the City Courts building. It needed demolition to the shell in order to accommodate a more secure prisoner holding area, increased public seating, and better sight lines for the judge. Courtroom 3 has the most advanced audio visual equipment for remote hearings. This too needed to start over from the shell for a new layout and electronic upgrades. 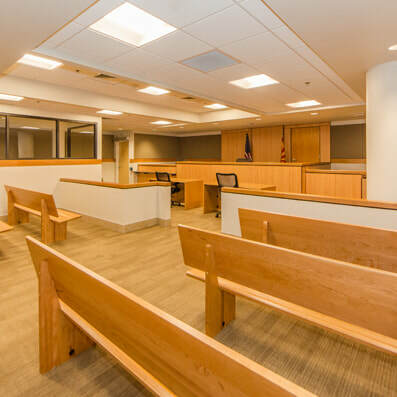 Both courtrooms received all new durable finishes, access flooring, LED lighting, and custom millwork. All workers obtained security clearances. This was a complete remodel of the kitchen and dining areas. 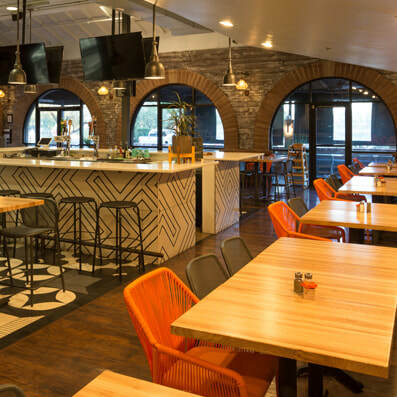 The welcoming and creative design creates a great social atmosphere to enjoy the Kitchen’s unique Mexican cuisine.